Following the continued growth of Museum LIVE over the past five years, Saturday 26/10/19 will see the museum host our 6th annual free open day when everyone will be invited to visit the museum collection free of charge. 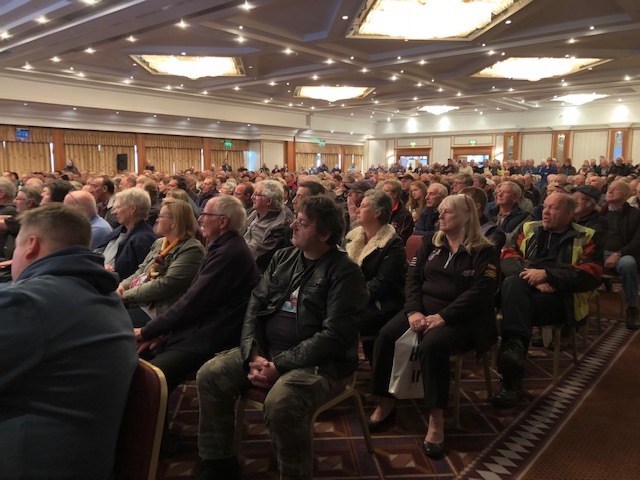 Now one of the largest events in the biking calendar, there will also be a host of other free attractions including our amazing “stars on stage” feature. What you missed at Museum LIVE 2018! Free Museum Entry: Everyone is invited to visit the museum collection, free-of-charge. The event will also feature trade stands & displays from many well-known names including H&H Classic Auctions, Central Wheel Components Ltd, Footman James insurance brokers, Triumph, Norton, Bonhams Auctioneers and many more. The museum shop will also be open throughout the event selling a huge range of classic motorcycling books, clothing & memorabilia. In attendance will be some of the museum’s specialist suppliers & craftsmen (including our own restoration team) as well as other classic motorcycling personalities who will be available to chat and answer questions. Don’t miss the LIVE wheel building demos by Central Wheel Components Ltd.
See & HEAR some of the most famous race machines in the world started up in our LIVE Start-Up zone, situated in our external fountain courtyard area. Bikes old and new will include some of the museum’s famous racing inventory as well as ex-Moto GP bikes courtesy of the Brackley Festival of Motorcycling & Phil Morris Racing. Plus the draw for the best classic motorcycle raffle prize in the world: Our Summer 2019 Raffle to win a fantastic classic motorcycle will be drawn by one of our celebrity guests live on stage during the afternoon of the event on 26/10/19. To win our current prize, raffle tickets are available to purchase on-line from www.thenmm.co.uk or by calling the Museum on 01675 444123. Fantastic catering provided by the museums chefs will be available in our food court & bar area. This area will also be the venue for our live band providing musical entertainment over lunchtime. “STARS ON STAGE” FEATURE & CELEBRITY BOOK SIGNINGS. 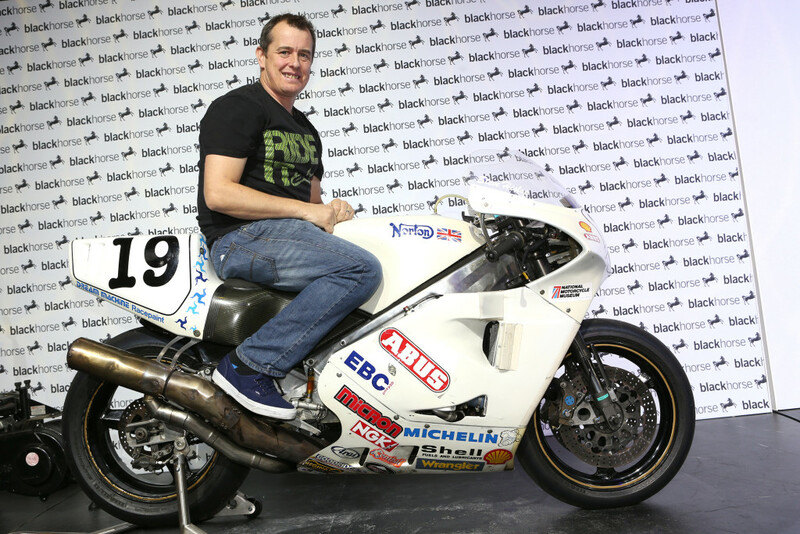 TT legend, TV presenter & Norton factory test rider STEVE PLATER will host two special FREE TO ENTER “stars on stage” features at 11.00am & 2.00pm. 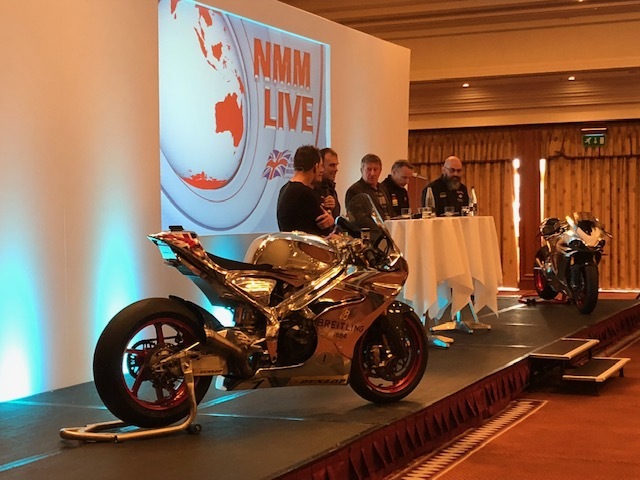 Held on the stage in the museum’s magnificent Britannia suite, these free 1 hour chat shows feature a host of motorcycle racing mega stars as well as their race machine’s fired up live on stage during the show! All our guest stars will also be making personal appearances to sign your favourite memorabilia. 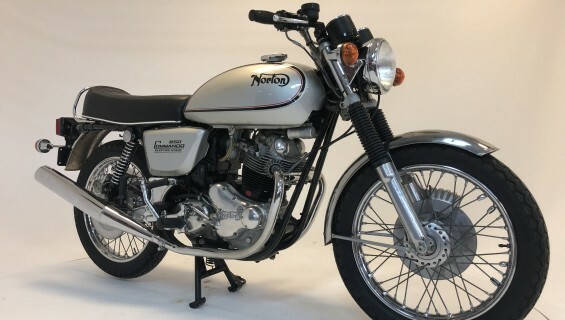 Real Classic magazine editor Frank Westworth will choose his top three bikes from all the ridden-in motorcycles to the event at noon on 26/10/19. Prizes will be awarded to the winners and include a chance to be featured in the magazine. Parking: Car parking for the event is just £5.00 per car with motorcycle parking absolutely free. Given the events huge popularity, the museum encourages car sharing which makes this nominal parking charge even better value! To win this amazing prize our raffle tickets available to purchase on-line from www.thenmm.co.uk or by calling the Museum on 01675 444123.